I don't know about you, but when it starts getting cold, I want to curl up with a bowl of hot soup. Paired with a piece of crusty bread and an extra large glass of Cabernet, I'm instantly warmed! I also love soup because even though it's delicious, lots of soup recipes are pretty healthy which makes up for that extra layer of blubber everyone gains during the colder months. Another benefit? Soups can be made in the crockpot which means you come home from your day and dinner is DONEZO! Here are a few fave recipes that I've made and a couple that are on my to-do list. It's no secret that my two favorite Food Network ladies are Giada and Barefoot, and they both have healthy winter soups that I've made and loved! 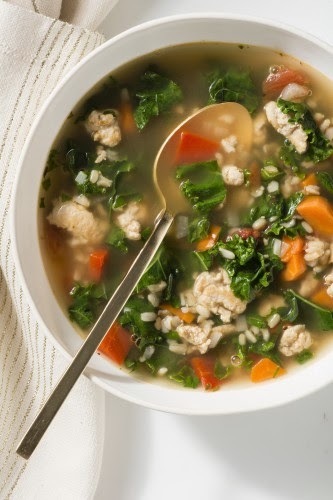 Turkey, Kale and Brown Rice Soup by Giada - This is a really healthy soup and also forces me to eat kale. Unlike the rest of the world, I just don't like kale. I tried to force Mr. Fo and I to jump on the bandwagon a few years ago, and we both decided we are not kale people. Personally, I prefer spinach to the bitter kale taste. But in this soup you don't really taste the bitterness so I can get the kale superpowers everyone claims it has. And I'm eating a trendy vegetable. Yay! 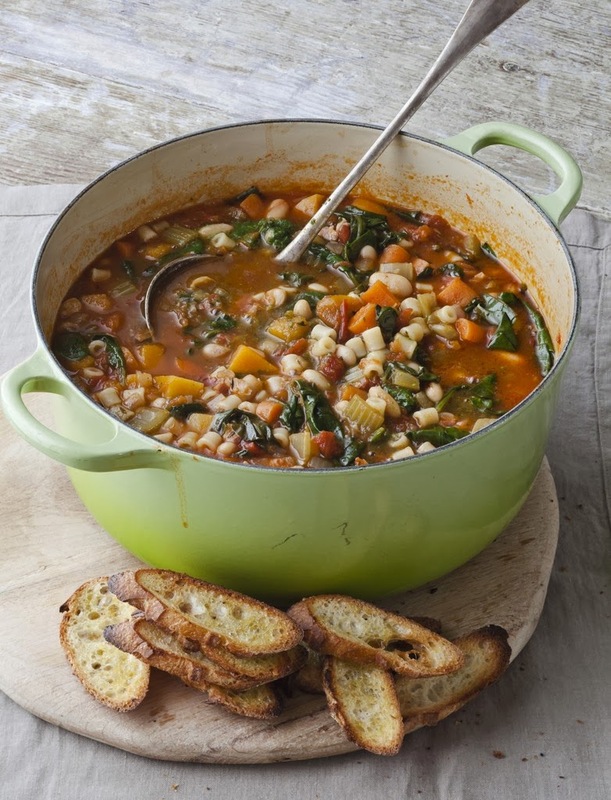 Winter Minestrone - Barefoot Contessa doesn't disappoint with this Winter Minestrone Soup that involves very little chopping but a whole lot of flavor. 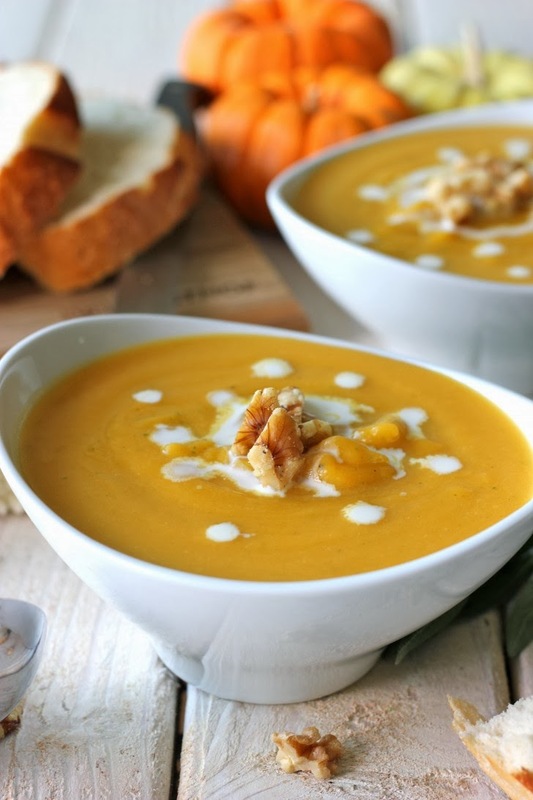 The soup uses my favorite winter vegetable, butternut squash. I can't stress enough, for all that is good and holy- buy the pre chopped butternut squash. Saving a buck is not worth cutting off your finger by attempting to chop a butternut squash yourself. This Minestrone and the above Turkey and Kale both make a ton, so you can eat this for days or freeze it for later. 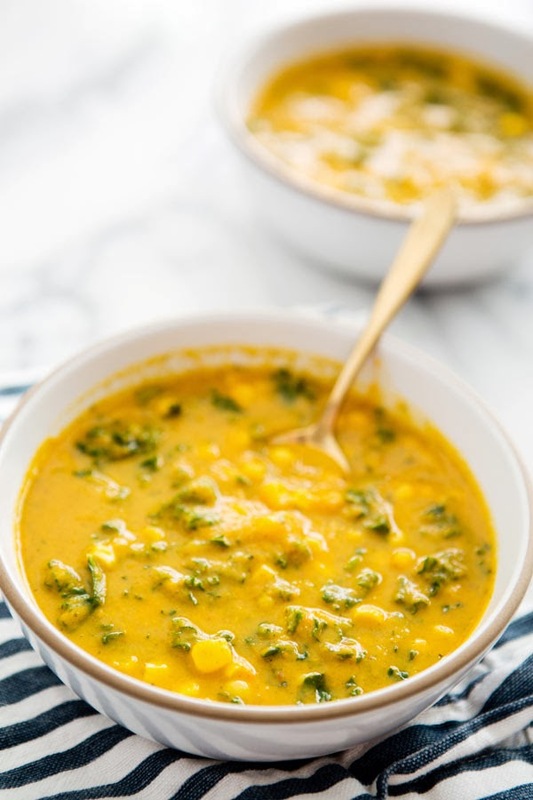 Sweet Potato Kale Corn Chowder -Another of my favorite seasonal veggies is the sweet potato, which makes an appearance in this yummy looking chowder. 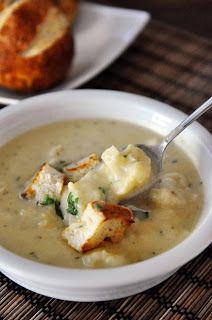 Roasted Cauliflower and White Cheddar Soup - I am making this ASAP. I actually love cauliflower and try to trick Mr. Fo with Cauliflower Mash all the time. If you add enough cheese and butter to it, it can really mimic mashed 'taters - I highly recommend it. This soup is right my cauliflower-loving heart! Also - I pronounce it "Coll-eeeee-flower." Apparently it's "Coll-a-flower." Tomato, Tomaaato. 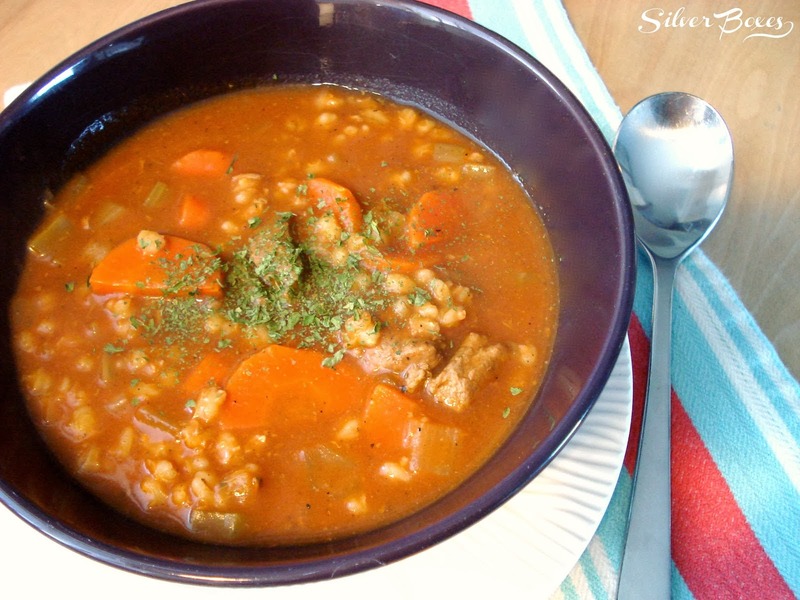 Beef and Barley - If you're looking for something a little heartier, this beef and barley soup is perfect. Barley is another trendy food and everyone loves some beef! 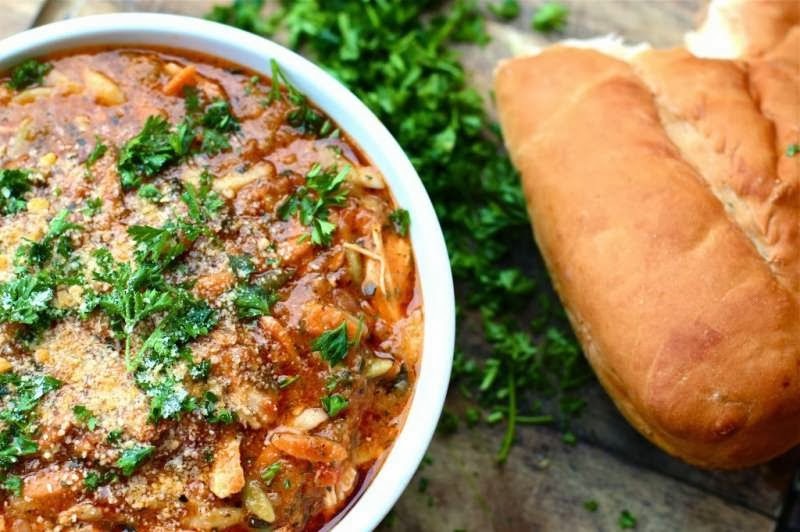 Zuppa de Orzo - This orzo soup has bacon and shredded chicken breast in it and is a complete meal in a bowl. Yum!! Roasted Butternut Squash and Sage Soup - Here we go again with that Butternut Squash! This creamy soup uses greek yogurt to keep it light. I love the presentation below, who knew soup could be so beautiful! 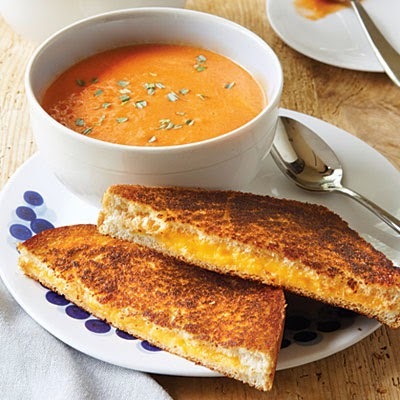 Tomato Soup with Grilled Cheese - This is a classic that everyone loves. The recipe comes from Cooking Light so it cuts down on calories but not on flavor! This is the ultimate comfort food in a soup. 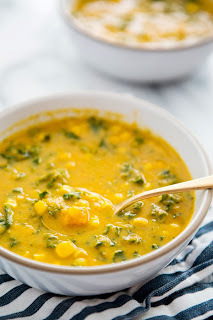 I hope you make one of these soups to warm up your house this winter! I'm off to set up for a winter wedding this weekend! Hope you have a great weekend and stay warm!